The boys in the school hurling team have been training hard since their season began before Easter. 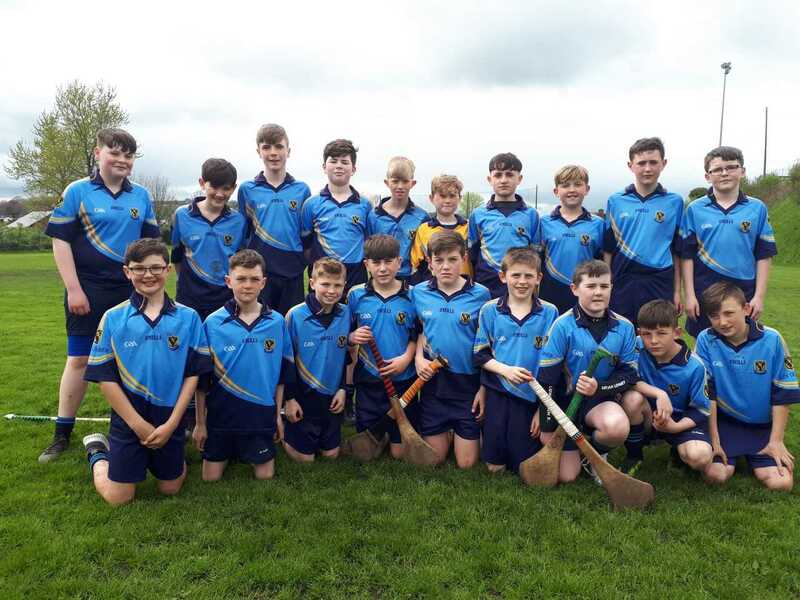 They started their Sciath na Scol campaign against Rushbrooke with a comfortable win. They then took on a fancied Cloghroe team, narrowly losing out. They showed typical Scoil Oilibhéir spirit by bouncing back with a hard fought win over Whitechurch. Another win in the final group game over Scoil Barra Ballincollig saw the boys in blue progress to the semi finals. They take on Scoil Mhuire Lourdes Carrigaline on Tuesday for a place in the prestigious Sciath na Scol Finals. Best of luck lads and thanks to Mr Ryng, Mr Elliffe, Mr Barry and Mr O Driscoll for giving up their free time to train the team.